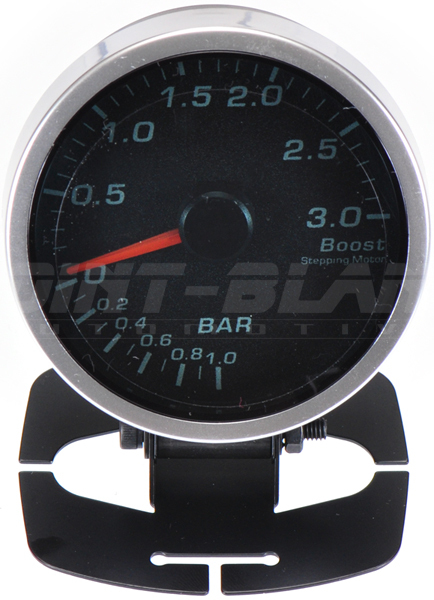 Fully electronic performance gauge with stepping motor design, very similar to Japanese gauges such a Defi and Greddy, but without the high cost. 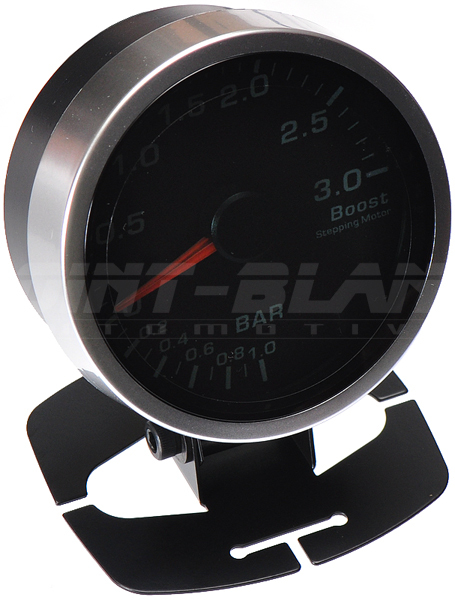 This Boost gauge has a range of -1.0 to +3.0 BAR and a mounting diameter of 60mm, meaning it will be a perfect fit for most aftermarket gauge holders and/or factory gauge locations. Can also be used with the supplied stand. 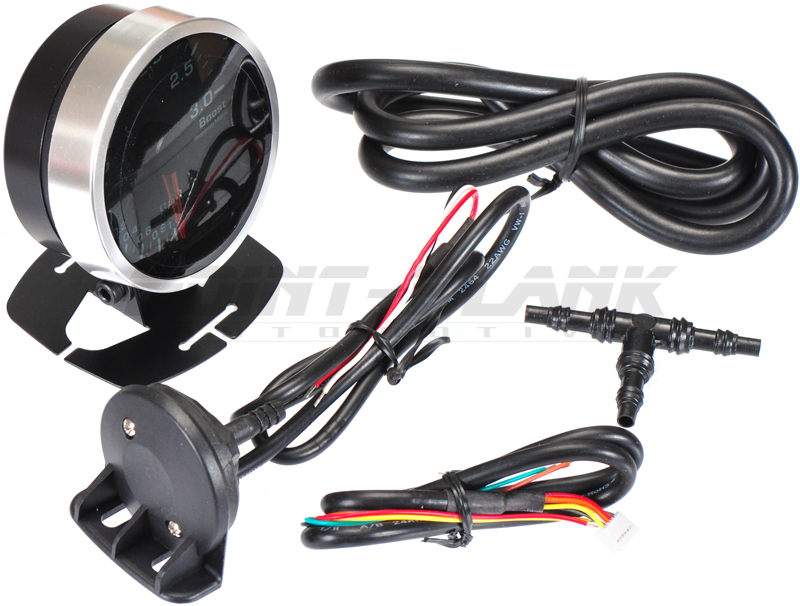 The gauge has a smoked appearance during the day and a bright backlit display (white or red) for darker conditions such as night time. When initially powered on, the gauge displays an opening ceremony which calibrates the gauge to ensure accurate reading.